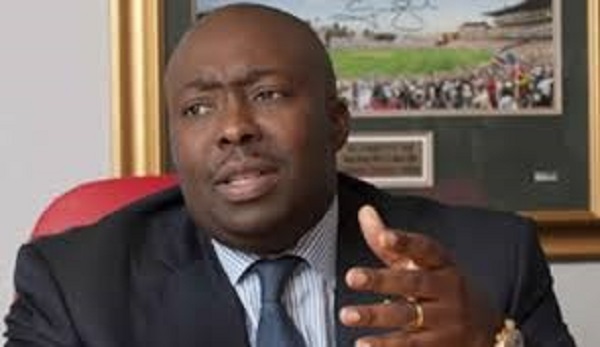 ZIMBABWE – Minister of Local Government, Public Works and National Housing, Saviour Kasukuwere. Traditional leaders are generally regarded as custodians of the country’s customary law and culture but in recent years they have been linked to national politics. The Local Government Ministry, headed by Saviour Kasukuwere, who is also Zanu PF’s secretary of the commissariat, has reportedly been creating new chieftainships in most parts of the country. Wilson Mugari of Nharira village in the Chikomba district, Mashonaland East province, claimed that two new chieftainships have been created on top of the five traditional posts. “It’s quite surprising and alarming because the chieftainships are being increased. We do not know for what purpose, and for example, last week when we were at the funeral of our colleagues who died the chief of the area who was supposed to give a speech was not there and the guy who came and we know him as the subchief and we were surprised he was given the onus as the chief. Mugari said celebrations to mark the official installation of the new traditional leaders, Chief Kareya and Chief Maromo, are set to be held next month, adding that villagers are now being asked to contribute towards the ceremonies. Another Chikomba resident, who only wanted to be identified as Kenneth Musarurwa, who lives in the Hokonya area, said he is also worried by this development. Both Chief Maromo and Chief Kareya refused to discuss their new status referring questions to Kasukuwere. Meanwhile, the main opposition Movement for Democratic Change led by former prime minister Morgan Tsvangirai says it fears that the creation of new chieftainships in most provinces countrywide was a well-calculated move by the ruling Zanu PF party to target its supporters ahead of the 2018 polls. According to Piniel Denga, the opposition party’s chairperson for Mashonaland East province, people are now fearing that they will be victimized as voting will be conducted at ward level. Chiefs and headmen have been accused by the opposition of allegedly working with Zanu PF to manipulate the people’s will in previous elections although the ruling party says the polls were free, fair and credible. Musarurwa, who is also a Zanu PF supporter, said President Robert Mugabe’s succession battles are increasing within his party, adding that the move to create new chieftainships was mooted by a Zanu PF group loyal to First Lady Grace Mugabe calling itself Generation 40 in order to weaken a faction reportedly led by Vice President Emmerson Mnangagwa. Musarurwa said mistrust is now the buzzword within the ruling party’s top hierarchy hence the move by G40 to seek to control of traditional leaders. Kasukuwere was not reachable for comment as he was not responding to calls on his mobile phone. His personal assistant repeatedly said her boss was in meetings. But some officials in his ministry, who refused to speak on tape, told Studio 7 that the new chiefs were being introduced to cater for some settlements created countrywide following the land reform program.